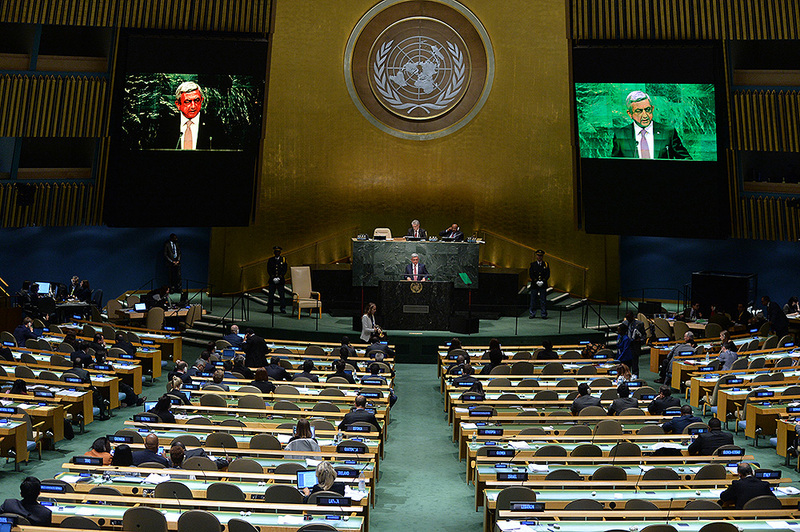 I congratulate you upon election to the honorable post of the President of the United Nations General Assembly. I am confident that under your able leadership this jubilee Session will meet expectations we all harbor. 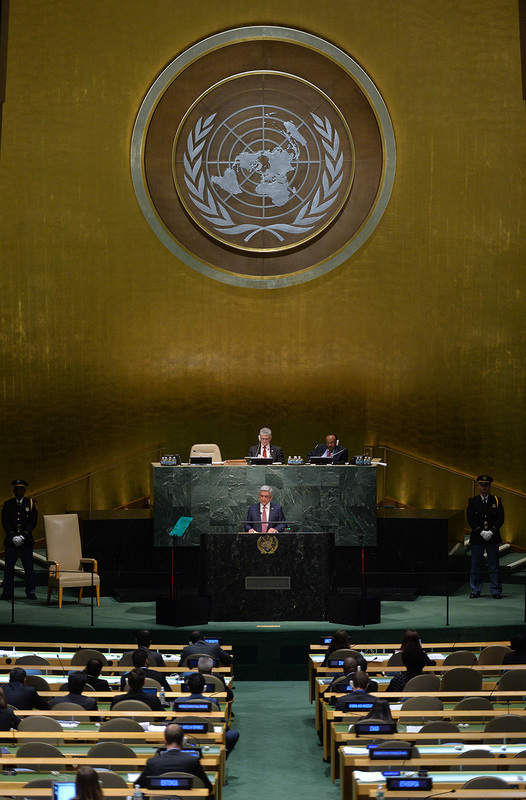 I also congratulate all of us upon the 70th anniversary of the United Nations. 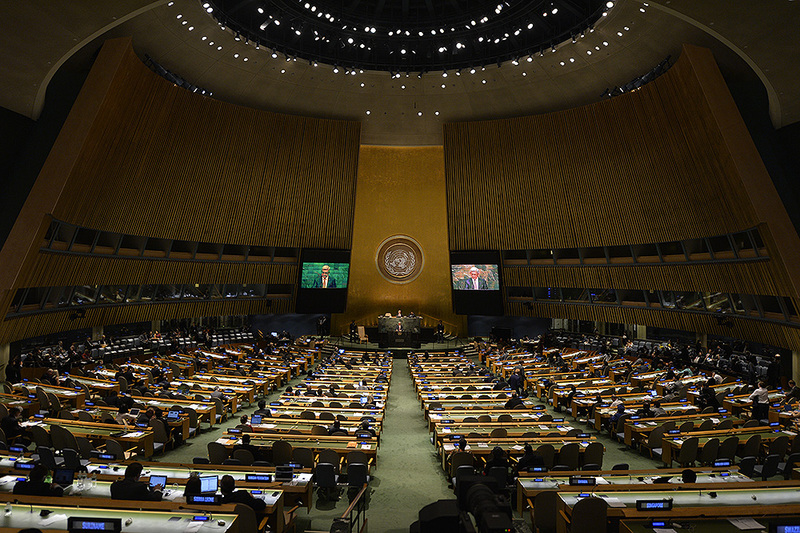 The establishment of this Organization had been one of the greatest achievements of the humankind that consolidated nations around shared aspirations and principles. The past 70 years have been characterized by the most important positive developments – an end was put to colonialism, racial discrimination and apartheid. 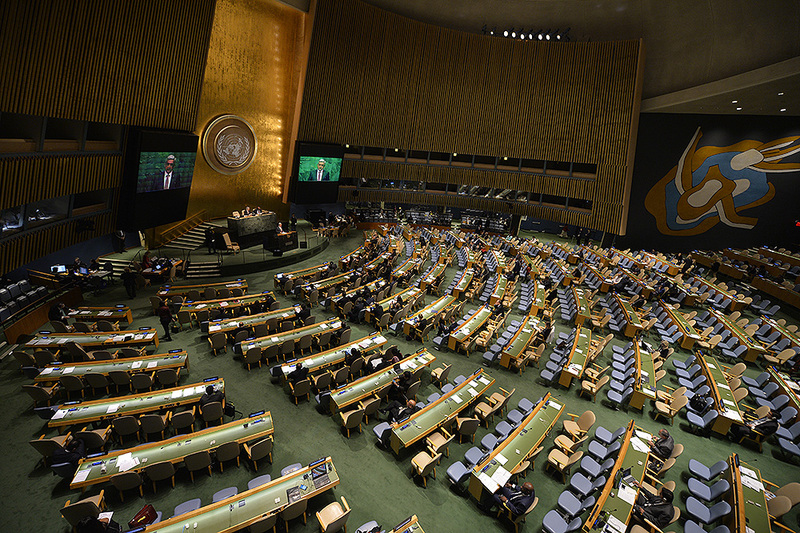 Many people around the world exercised their right to self-determination, got in charge of their own fate by establishing and building independent states of their own, thus increasing the number of the UN member States from 51 to 193. Amid all these achievements, we shall recognize that currently the world faces new challenges such as terrorism, extremism, intolerance, economic crises, climate change, trafficking in human beings and their organs, as well as drugs and arms, migration crisis etc. The list enumerating these challenges is long. It is the very necessity to struggle against them that obliges us to resolutely reiterate our joint commitment to the mission of this Organization and its Charter. 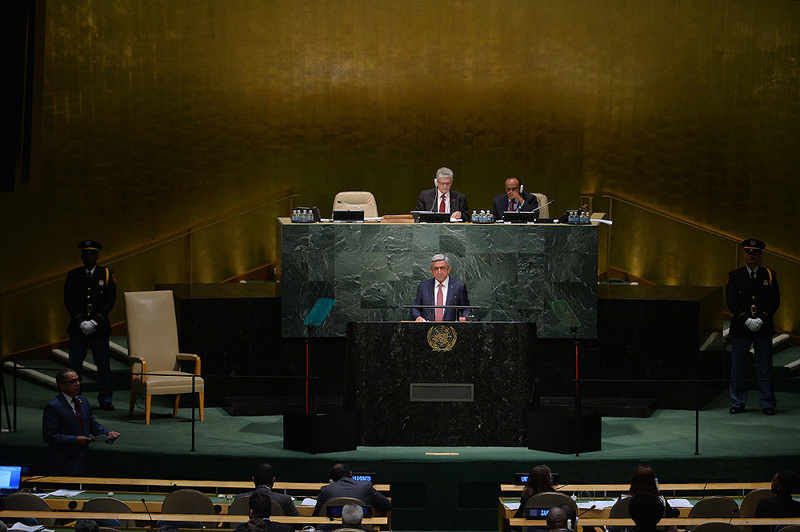 Last year, on the eve of the Armenian Genocide Centennial, from this podium I expressed our gratitude to the nations that recognized the Armenian Genocide and named them all individually. I called upon the international community to bolster the struggle against the recurrence of the crime of genocide through recognition and condemnation. 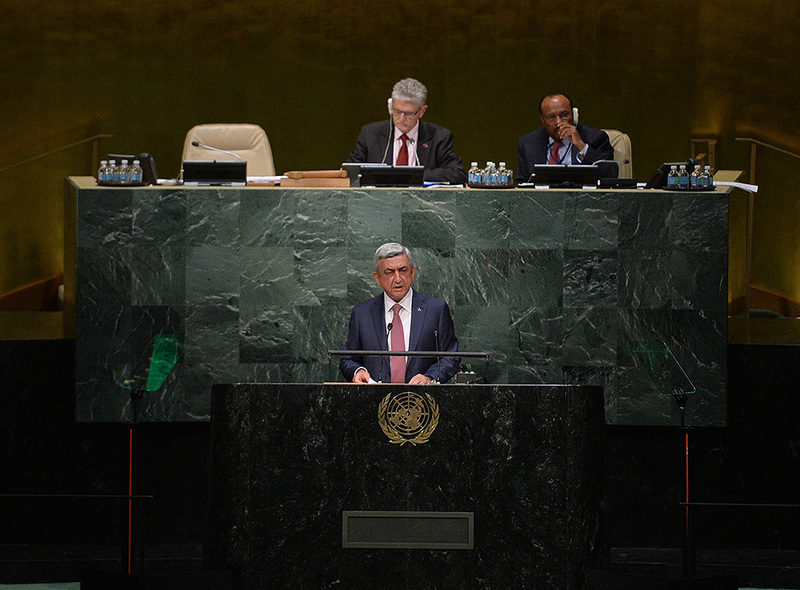 The peaceful resolution of the Nagorno Karabakh problem remains one of the most salient issues in our region. I shall note that aggressive policy pursued by Azerbaijan resulted in the absence of any meaningful progress of negotiations for the conflict settlement, and the situation drifts toward increasing tension. The dictatorial regime of the country made disgraceful repression an instrument to strangle the people’s wrath as the oil-based economy obviously falters, and even that, nevertheless, it considers being inefficient. Now it needs images from the Line-of-Contact in order to divert the attention of its own public. 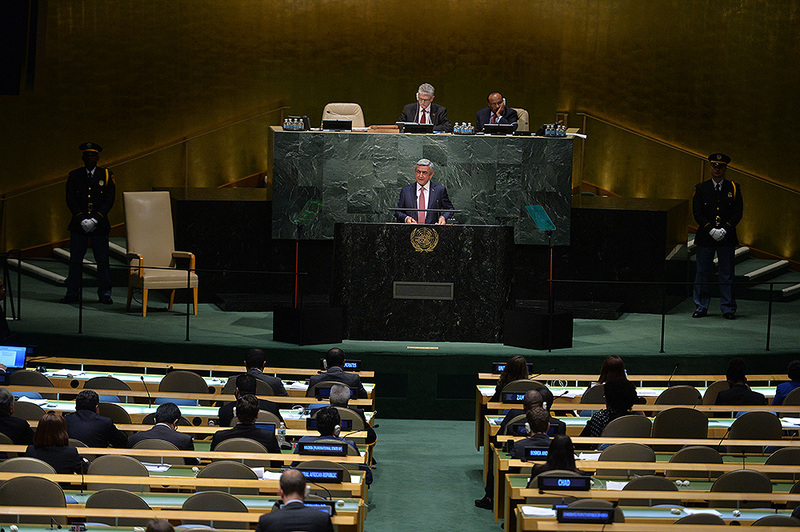 I would like to draw the attention of this Assembly to the fact that Azerbaijan, besides various provocative actions, has now started to apply largecaliber artillery firing at the peaceful settlements of the bordering districts of both the Republic of Armenia and Nagorno Karabakh Republic. Azerbaijan completely disdains 5 joint Statement issued by the Presidents of the U.S., Russia and France, and the efforts of the OSCE Minsk Group. 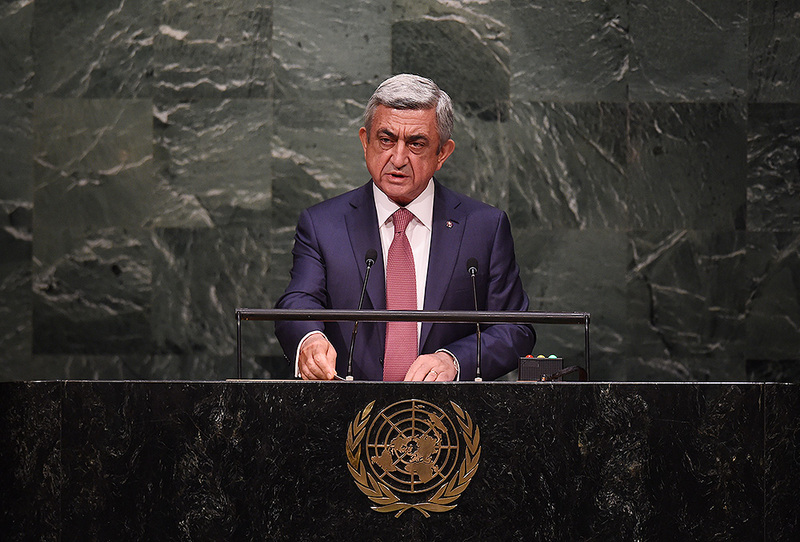 Shall it continue its such an aggressive policy, it will not leave Armenia any other choice but to take necessary legal and political-military steps to provide the Republic of Armenia and Nagorno Karabakh Republic with the opportunity to develop in security and peace. All these come to prove that when there is a political will to bridge disagreements and emphasize the spirit of cooperation, it is indeed possible to find solutions for the most complicated issues. From this podium I would like to once again stress the importance of taking diplomatic efforts, especially with the aim to eliminate the closed borders. 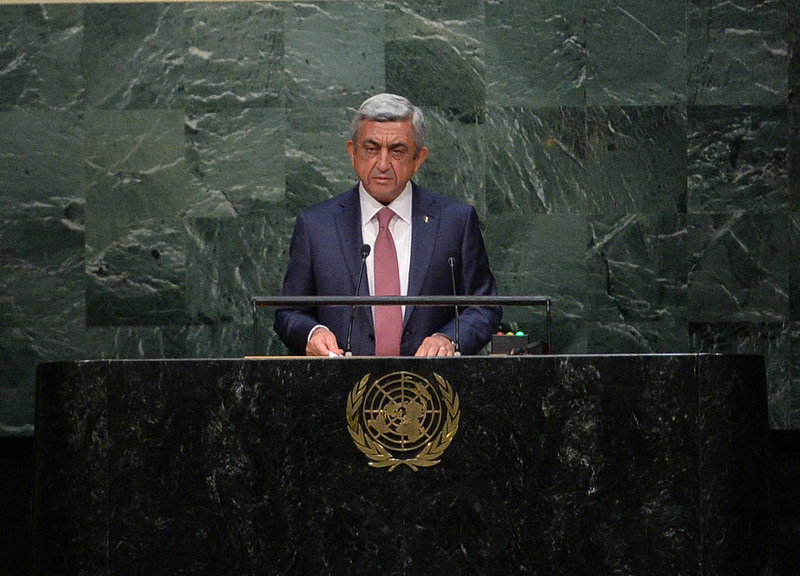 Armenia has been subjected to the illegal blockade by its neighbors, and we deem unacceptable such an improvident policy that in the 21st century establishes artificial obstacles disrupting intercultural, human to human and trade contacts. In this context, we highly value the periodic review carried out under the framework of the UN Conferences on Landlocked Developing Countries. We stand ready to invest further efforts in this endeavor, also by hosting intermediate workshops on this topic in our country. To conclude I would like to join all speakers who have called to take joint efforts to struggle against the darkness, vandalism and hatred. There can be no great and small countries for that cause, and every single one has a role to play. 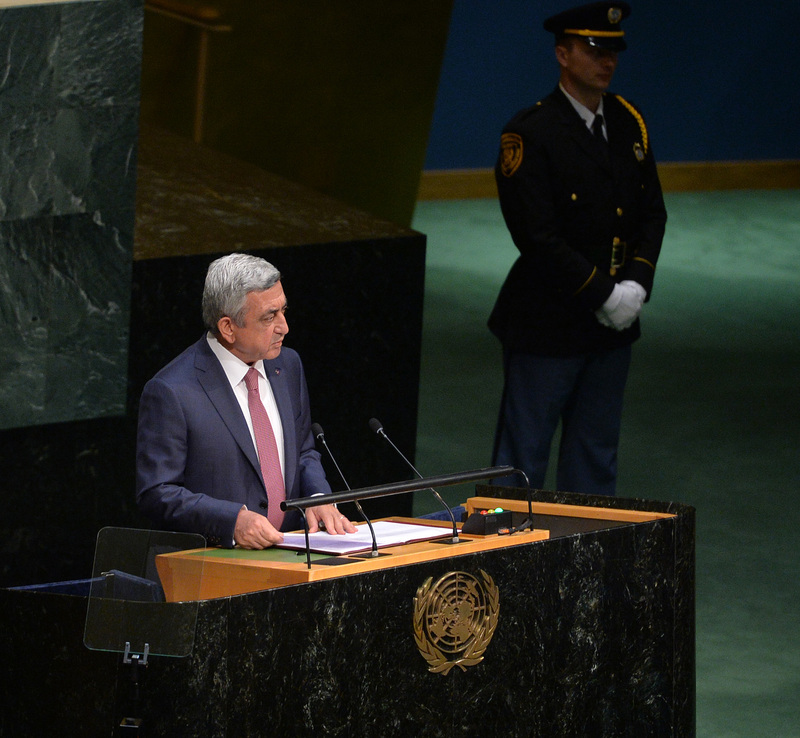 Armenia stands ready to make its contribution to that joint struggle of ours.